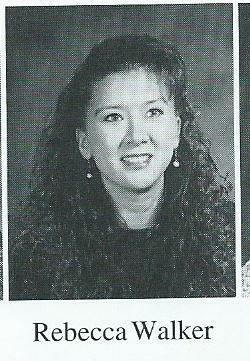 Becky Walker’s first year as a Fort Bragg Middle School math teacher was 1997-98, the year our son Harrison was in sixth grade. She looked more like a junior executive of a Fortune 500 company than a teacher in a school on the Mendocino Coast. She wore pant suits and pumps, and often pulled her hair into a severe ponytail with a puff of bangs. It was unsettling. She exuded the warmth of a Marine drill sergeant. Her job was to teach math to children. And they would learn. Oh yes, they would. As time passed, Becky also learned a thing or two. (Living in Fort Bragg, California does that to a person.) She began to relax her professional guard and expose her playful s ide. The pant suits disappeared, her hair became casually styled, and she grew to be hilariously funny. Still, she has never compromised her quest to elicit high standards of behavior from herself and her students. I feel fortunate to have grown close to Becky over the years. I’m in awe of how this dynamic woman has blossomed from middle school to high school teacher to vice-principal to principal of Fort Bragg High School. 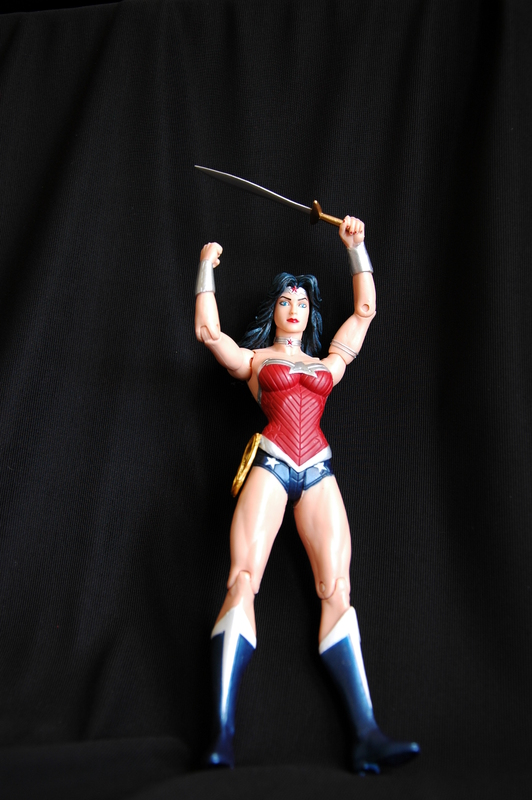 In honor of her birthday on March 24, I propose a series of action figures dedicated to her superhuman abilities. Towards the end of her first year of teaching, the sixth grade students went on the traditional camp out at the Boys and Girls Club Camp Mendocino. Mayhem reigned as kids disembarked the bus, wrestled with camping gear, and frolicked like young puppies. A group of teachers were barely able to corral them into a grassy area. “Ladies and gentlemen,” shouted a voice with the force of a bullhorn. All 200 students froze. “Sit down! Now!” Two hundred students sat. Becky is a genius at defining clear boundaries of acceptable behavior. When she was a teacher, her room was intersected by a laser light grid in 3-D visible to only her and the students. As long as a student stayed within the confines of that grid, he or she was lovingly attended to by Ms. Walker. Step a toe outside and Boundary Maker awakened the wrath of Thunder Queen. A quick verbal smack down snapped the kid back into place where he or she would once again be treated kindly. If somebody violates my weak boundaries, it can take days, weeks, months or even years for me to speak politely to them, let alone kindly. Not Boundary Maker. Boom! Done. Let’s move on. On campus, Becky can carry on a conversation with an adult while tracking every student in the hallway. In the middle of a sentence, Antenna Woman will arouse Thunder Queen. “Mr. Myers, keep your hands to yourself!” She returns to the conversation, picks up the sentence, and finishes her thought. Whenever I spoke with Becky at school, there were numerous disciplinary interruptions that made me jump with alarm. Yet Becky never gave me less than her full attention. This alone qualifies her as a Super Hero. Ten steps forward. Stop. The talkers were ordered to the front of the line, next to Ms. Walker. Ten steps back. A review of the rules—No talking or we’re backing up. Ten steps forward. Stop. More rule breakers were moved to the front of the line. Another review of the rules. Ten steps back. On the sixth attempt, the silent group arrived at the auditorium, a bit drained by their hard won accomplishment, yet faces sporting proud grins. They had climbed Mount Olympus, a journey plagued by fits and starts, but motivated by Ms. Walker’s unwavering belief that they would make it. Becky creates an environment where the rules are clear. She generously praises, encourages, laughs with, and enjoys her students. As a result, they strive to please. If she has to yell to get her point across—well, anyone who has dealt with teenagers knows that hormonal surges make pudding of their brain matter, which can block their ability to hear anything but high decibel sounds. Whenever my kids were in her class, they exhibited a higher level of maturity as evidenced by such adult statements as “Ms. Walker says you always need to have a savings account because you never know when you’ll get an infected ingrown toenail that requires medical attention,” and “Pies aren’t square, they’re round, silly” (which refers to area of a circle = pr2). Gary and I found these quotes fascinating. Our adult children find it haunting that they remember them all these years later. In eighth grade, our daughter Laine did a Power Point presentation for a homework assignment. Becky called to say that Laine’s outstanding effort made her cry. We felt like we were raising the next Einstein. A few years ago on Becky’s birthday, I stood in the lobby outside her vice-principal’s office with a young fellow who looked down in the dumps. He said he’d just been suspended for a week and was waiting for his dad to pick him up. Her birthday is this Sunday. Let’s do a little math problem to figure out her age. 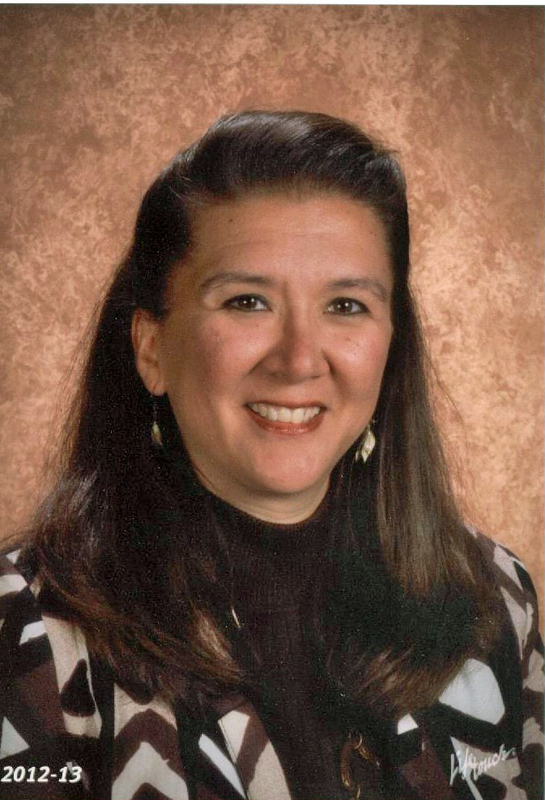 She was 24 years old when she started working for the Fort Bragg Unified School District in the fall of 1997. In March of 1998, she turned 25. 2013 – 1998 = x + 25 = OMG, she’s that old? If you were once her student, tell her how Thunder Queen, Boundary Maker, Antenna Woman, and Leader of the Pack worked to shape your mind into something resembling human. WoW! Super Woman really inspired a highly creative blog this time. I loved reading it being an ex high school teacher myself. It truly is about loving the kids but setting appropriate boundaries for them and then…. being consistent in re-enforcing them so they can count on you meaning what you say! Way to go Kate and Becky!